Tequila John’s Mexican Grill & Cantina was originally founded in Santo Domingo, Dominican Republic in May of 1992, opening its doors in August 1992. In June 2008 it was decided to close and continue this dream in the United States. Tequila John’s opens its doors again in August 2008 in Waverly, Tn and recently moved its operation to its new location on US 70 next to the Dupont exit in New Johnsonville, Tn. 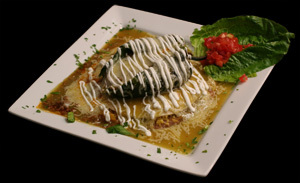 We strive to serve only the best in Mexican cuisine, contact us today to make a reservation. Were working to better our community. Since our opening in 2008, Tequila Johns has prioritized assisting various area charitable organizations. We currently have ongoing relationships with numerous worthy organizations and institutions, including: The United Way, Waverly High School Band and the American Cancer Society. Yonaira Hernandez graduated from law school in the Dominican Republic. Yonairas history with the restaurant is a unique success story. Born and raised in Bonao, Republica Dominicana, she joined Tequila Johns team back in 1994 when she and John got married. Her management ability, work ethic, enthusiasm, and desire to keep improving Tequila Johns operations was evident. Handling the front end of the business while John handles the back end. She is currently John's right hand in the kitchen and they wouldnt have it any other way. John Reveles is President and owner of JYJ the owner of Tequila Johns Mexican Grill & Cantina. Our owner, John S. Reveles a New Mexico native, graduated from PUCMM University in Santo Domingo with a degree in Culinary Arts ultimately is responsible for overall restaurant operations, John is directly responsible for all culinary decisions. John and his wife Yonaira have two children Juan born in 1994 and Josephine born in 1999. John graduated from Dexter High School, Dexter, New Mexico in 1980. Served in the USAF from 1980 - 1984, Worked in Aircraft Avionics from 1985 - 1992 serving intities such as the FBI & US Marshalls in San Juan, Puerto Rico as well as general aviation. In 1992 John decided to change professions and become a restaurant owner. After being in the business 10 years he decides to go back to school and earned a Culinary Arts degree, from the PUCMM University in Santo Domingo, Dominican Republic in 2004. © 2019. TequilaJohns.com. All rights reserved.